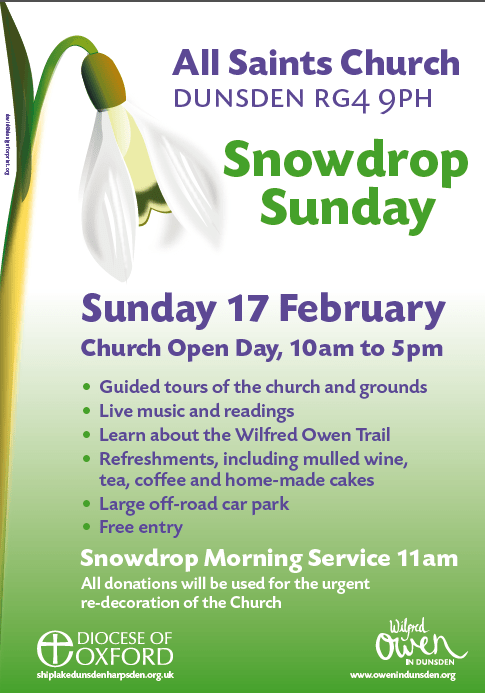 Tea, cake, mulled wine, music, readings, short talks plus added snowdrops at All Saints Church in Dunsden on Sunday February 17. Free entry. A chance to visit the pretty church where Wilfred Owen’s parents and sister are buried, and to find out about the Wilfred Owen Trail – a free phone app and walking route. For more information see the church website.